The Seattle Seahawks might join Colin Kaepernick to protest the U.S. national anthem during the first NFL game against the Miami Dolphins, according to a report. Seahawks cornerback Jeremy Lane, during the final preseason game, also didn’t stand for the anthem. The number of players who don’t stand could expand this week. “Whatever we decide to do will be a surprise,” Seattle Seahawks linebacker Wagner told the Seattle Times. “Anything we want to do, it’s not going to be individual. It’s going to be a team thing. That’s what the world needs to see. The world needs to see people coming together versus being individuals,” he said. 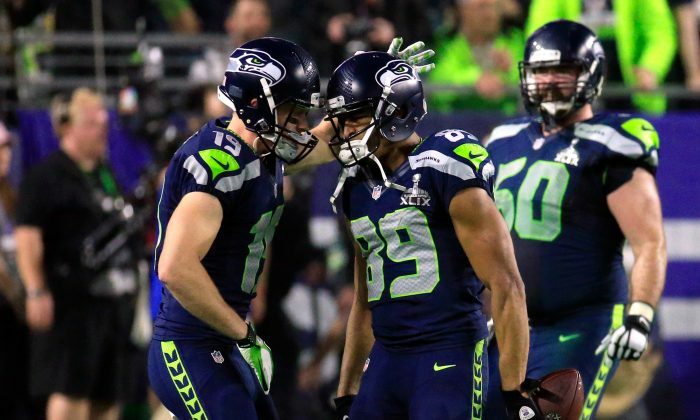 Seahawks wide receiver Doug Baldwin said Wednesday that he has considered not standing. “I want to make sure I get all of my ducks in a row before I do so,” he said. Wagner didn’t elaborate more, but couldn’t say if the team would join Lane. “Our locker room has discussed it. So we’ll see,” he added. Lane said Monday that he will continue to sit during the national anthem. 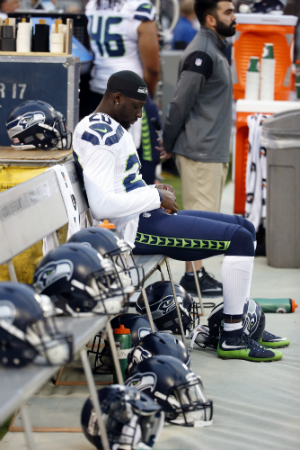 Seahawks defensive end Cliff Avril added that he might partake in the protest.